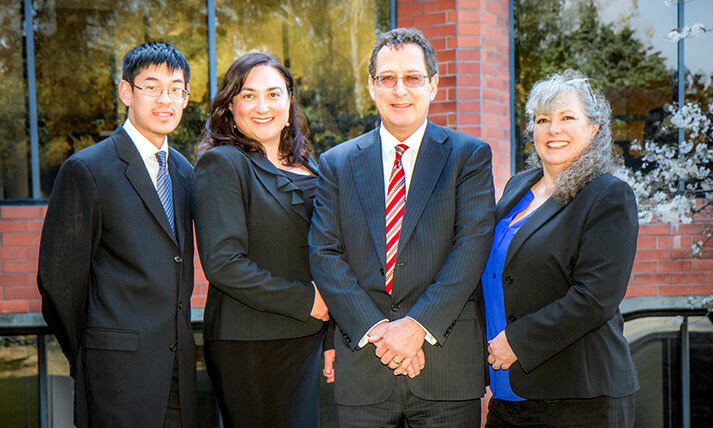 The Law Office of Mark J. Zanobini, P.C., is a San Francisco Bay Area law firm that focuses on cases in which medical and dental malpractice, car accidents, and defective products have caused serious life changing injuries or wrongful death. $622,500 settlement in an uninsured personal injury/wrongful death case. An appropriate recovery was obtained for all occupants of the vehicle. Successfully obtained a confidential seven figure settlement with two insurance companies under the liability and underinsured provisions of the policies. $400,000 arbitration award for wrongful death of a newborn and negligent infliction of emotional distress to the mother. $1,534,000. Medical malpractice/wrongful death. Decedent, age 44 years, suffered from severe back pain. His pain was so sever that he had endured 3 back surgeries over the 4 years prior to the incident. $500,000 settlement in a wrongful death case. Jennifer, a wife and mother of three young children, had a history of suffering from migraine headaches. $1,100,000 settlement against Kaiser. 43 years old Sandy was seen by a physician at UCLA who noted a density in the right lower left area of her lungs and some questionable granulomas in an MRI and chest X-ray taken of her. Mark Zanobini is an attorney who can be trusted to take a case and run with it by conducting all of the research and deposits in a timely fashion. He showed compassion to my family throughout the process, while remaining firm with the defense. I highly recommend Mark as your personal injury or medical malpractice attorney. I would go to no other. Mark was very personal and exceeded in my case. He would call often and ask questions. When I called, he was always there to answer my call and any questions I had regarding my case. Kept me in mind most of the time and in the end, We Won! Mark is a fantastic attorney. Mark handles all matters with the highest degree of professionalism and diligence. I endorse this attorney without reservation. I frequently refer cases to Mr. Zanobini. His work product is immaculate, and gets great results for his clients. I highly endorse this lawyer. If you are involved in a Motor Vehicle Accident (MVA) the first thing you should do after assuring you are not injured is to take photographs of the vehicles involved, the roadway and its surrounding area, as well as collecting the names and contact information of any witnesses. There is no need to discuss who was at fault with other drivers and should be avoided as no one knows the complete story yet and the insurance companies will try and use those statements against you. Within 10 days of the incident, it will need to be reported to the DMV and the insurance companies. During this reporting process avoid discussion of fault and of your injuries. Keep track of all your injuries, treatments and expenses regarding those injuries as best you can, even taking pictures of the healing process of your injuries. Following these steps will aid your attorney in resolving your claim in timely manner and ensure receipt of just compensation for your injuries. Common injuries attributable to medical malpractice include but are not limited to: Birth Injuries, Anesthesia errors, Surgical errors, Medication errors, Failures in post-operative care, Failure to diagnose, Plastic surgery errors, or improper implants. If you have been the object of any such injury while in the care of professional care giver the first things you should do is to see an attorney for a consultation. During this consultation your attorney will be able to assess the injuries you are suffering and deduce the viability of a Medical Malpractice case. Medical Malpractice cases are complex in nature and necessitate. If you believe you or a loved one is the object of a construction site accident the first things you should do after tending to your injuries are: Take photographs of the hazardous condition as well as your injury and properly report the incident to the employer and/or supervisor on the premises. You should continue to monitor and make note of your recovery process (perhaps even keeping a log of the injury and its healing process accompanied with photos) Following these steps will allow your attorney to follow up with your report to your supervisor(s) and prove the injuries were wrongfully suffered on the construction site. If you believe you or a loved one has been the victim of the Nursing home abuse or neglect the first steps you should take are: report the abuse to the appropriate department of the facility and make documentation of the abuse/neglect (making note of the actor, the action or inaction, dates, times, and frequency). Whether the abuse is physical, financial, or from failure to provide proper care our attorneys are here to help return you or your loved ones to their status before the abuse. If you believe you have a claim for Premises liability the first things you should do, after tending to any injuries are: take photographs of the hazardous condition that caused your injuries, collect the names and contact information of any witnesses to your injury and anyone who has knowledge of the hazardous condition, and if on the premises of a business, the manager or security personnel on duty will draw up an accident report DO NOT sign this, but get a copy to take with you. Insurance adjusters will contact you regarding the incident, you should NOT provide them with any information regarding the extent of your injuries or regarding fault until you have consulted an attorney. Insurance adjusters are encouraged to seek early settlement with individuals who are not fully aware of their rights or informed of the amount of their potential damage rewards. If you believe you are part of a maritime dispute your first step should be to gather any relevant photographs of the damages to both yourself and any personal property, as well as setting up and maintaining a log of your damages, injuries, and expenses throughout the entire process.